Tumblr has amassed tremendous popularity in recent years, and understandably so. In the right hands, it can be the most effective blogging platform, not only for the general user but possibly for an online marketing company looking to expand their business. In any event, Tumblr isn’t all that it appears on the surface. As a matter of fact, there are certain Tumblr features you might not have known about, even after spending ample time liking and creating posts on the site. For those who would like to get the most out of Tumblr, here are 3 little-known Tumblr features you might want to take advantage of. If you thought that this social platform was useful before, you’ll probably get even more out of it after this learning experience. Programs with keyboard shortcuts are nothing new. Anyone who has used Microsoft Word or PowerPoint, just to name a few programs, can attest to this. However, did you know that Tumblr has its own share of keyboard shortcuts? When you’re on a particular post, push the “N” key and you’ll see the notes it has amassed. If you wish to like a post, use the “L” key. You can also push the “shift” and “?” keys together, while on your dashboard, to see a more comprehensive lists of shortcuts. These should help make your experience on Tumblr more user-friendly. What if you want to see specific posts on someone else’s Tumblr blog, or even your own? This is where URL modifications can come into play, but you don’t necessarily have to be an expert in HTML to make use out of them. The modifications in question are relatively simple, meaning that anyone can use them. For example, add the path “/tagged/<tag>” to a blog URL in order to see posts that have created with the aforementioned tag in place. If you’d like to find posts by specific dates, add “/date/YYYY/MM/DD” instead. 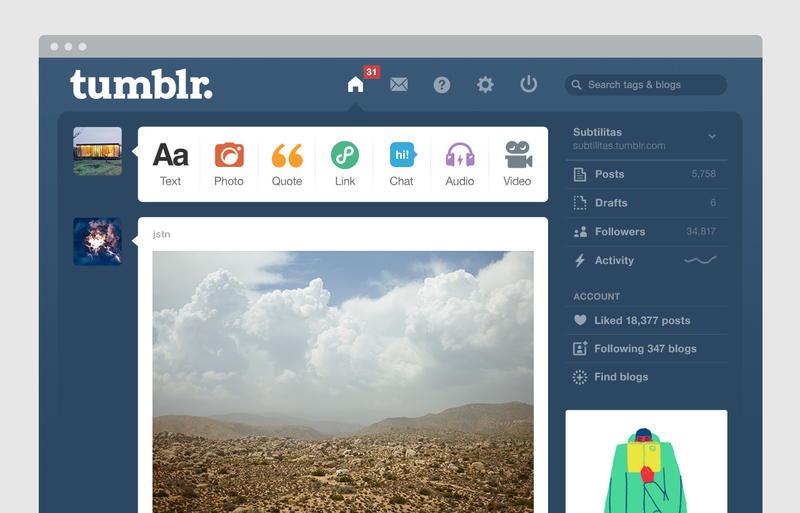 These are just a few ways to get even more out of your Tumblr experience. Have you spent a couple of years on Tumblr, but spent your early days not tagging posts? To say that going back and adjusting said posts is troublesome would be an understatement, but your job can be made easier. Enter the Mass Post Editor, which is a program that can help you make small edits to multiple posts at once. Not only is this tremendous for the sake of targeting multiple posts at once, but you can organize them by specific years and months as well. As a result, it’s the best way to look back on your previous posts, especially if you haven’t engaged in tagging early on. These are just a few little-known features that Tumblr users might be interested in. Do you know of any others? If so, feel free to sound off in the comments below!